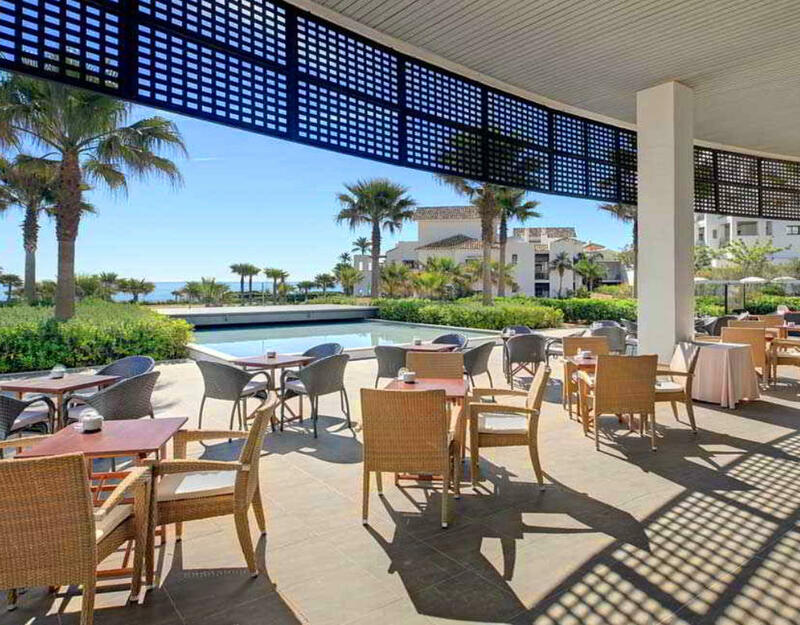 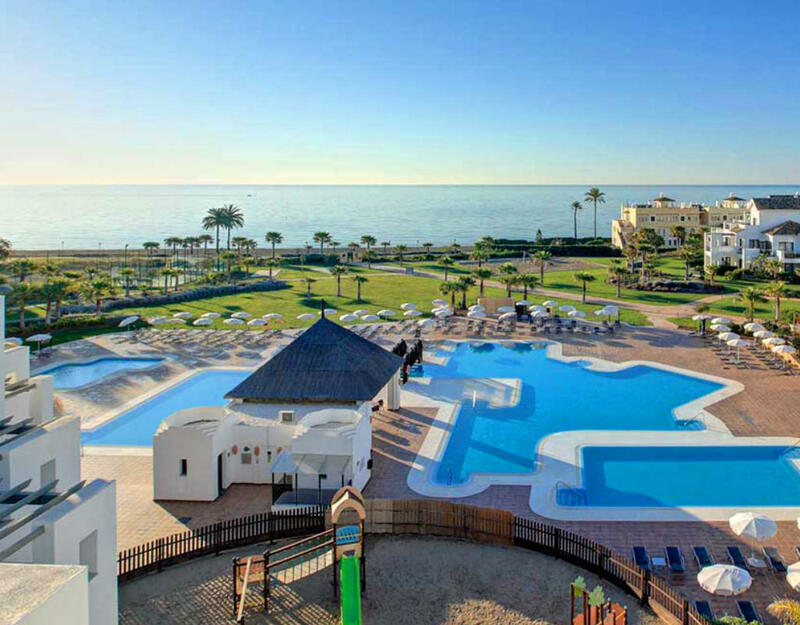 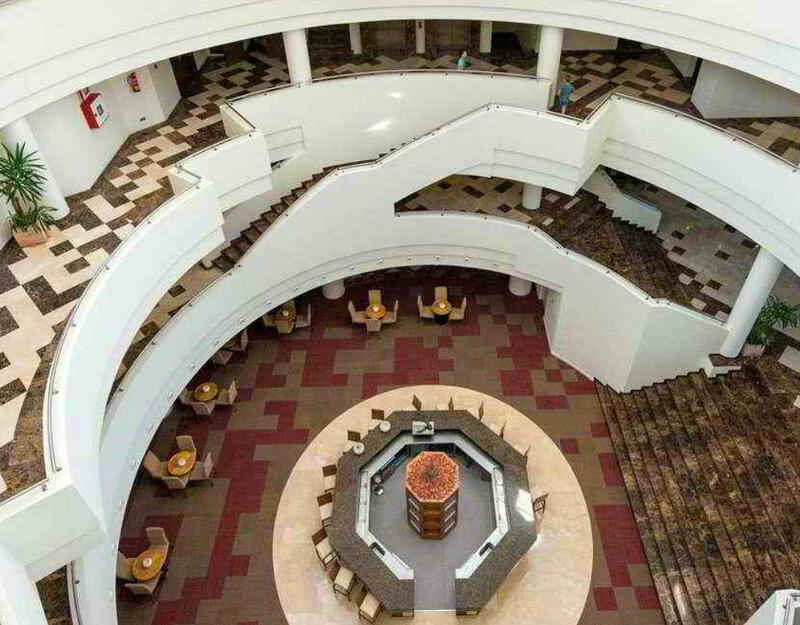 Fuerte Estepona Hotel is a beachfront hotel. 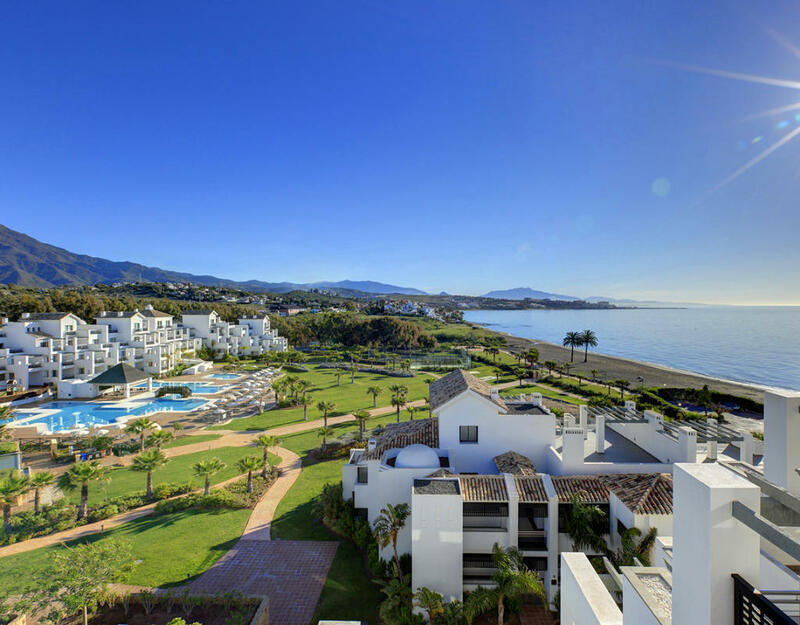 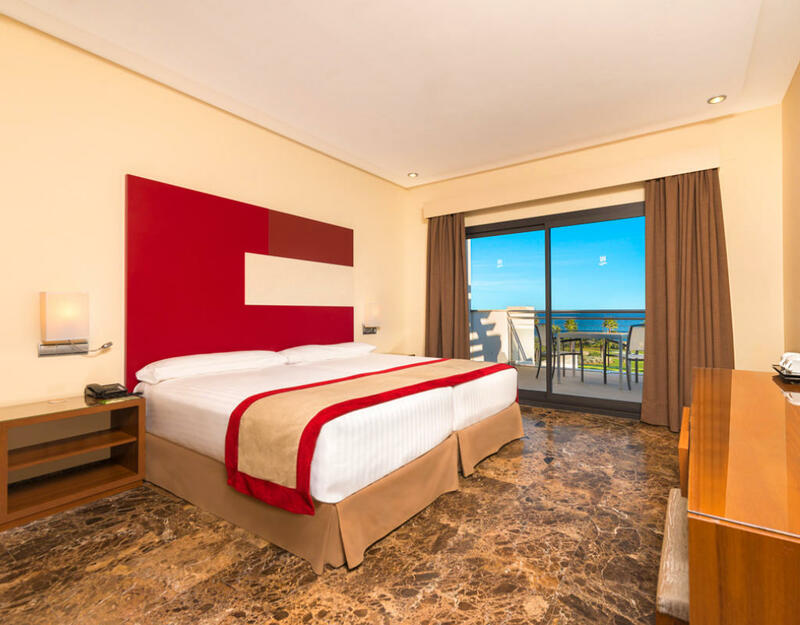 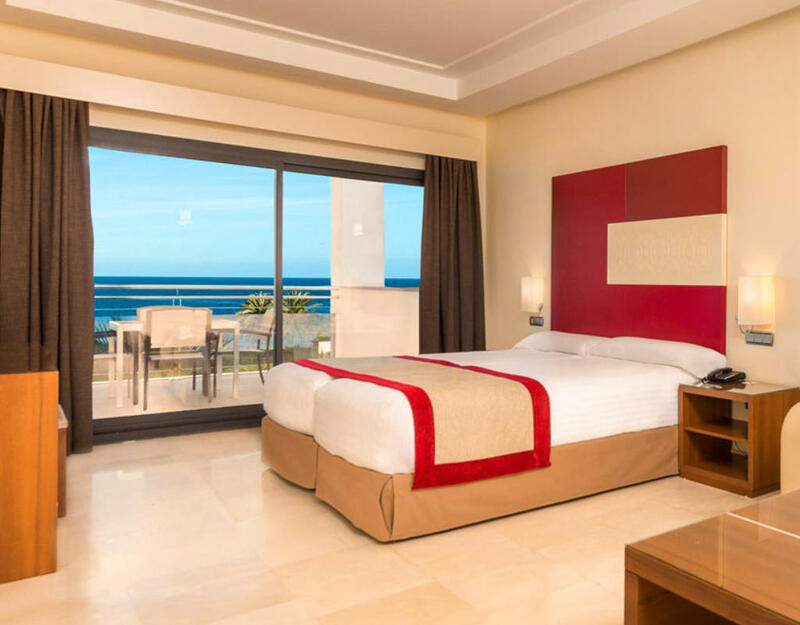 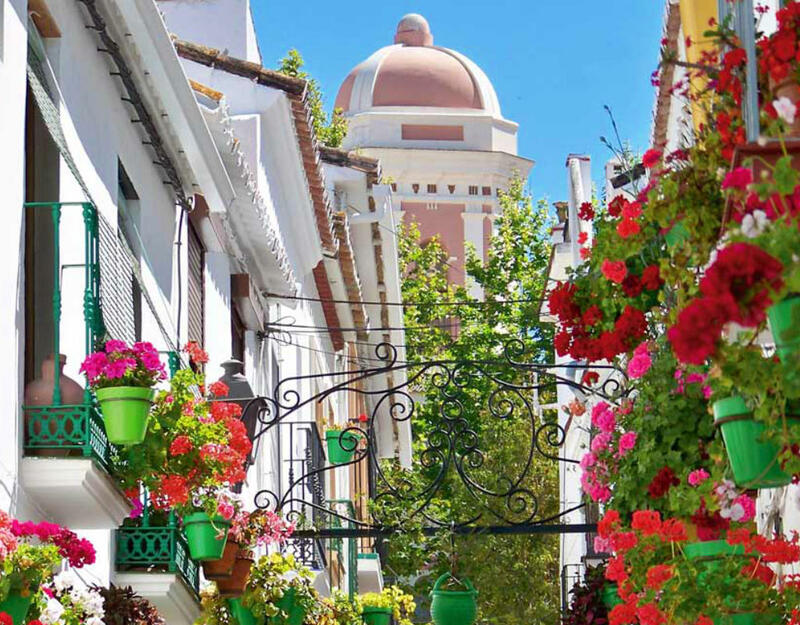 The Estepona town centre is just five minutes drive away although you could happily spend days enjoying the hotel’s facilities. 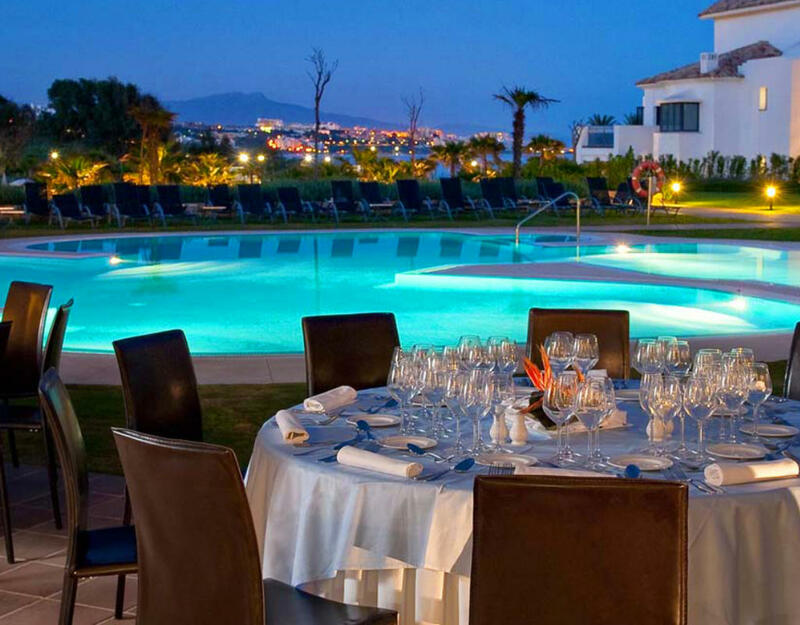 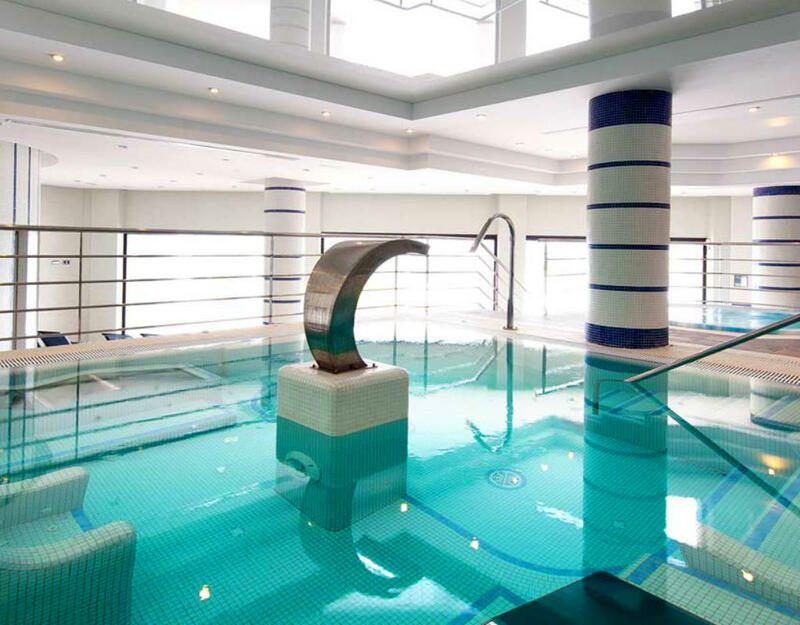 There are four swimming pools, Spa area, three restaurants and a beautiful garden! 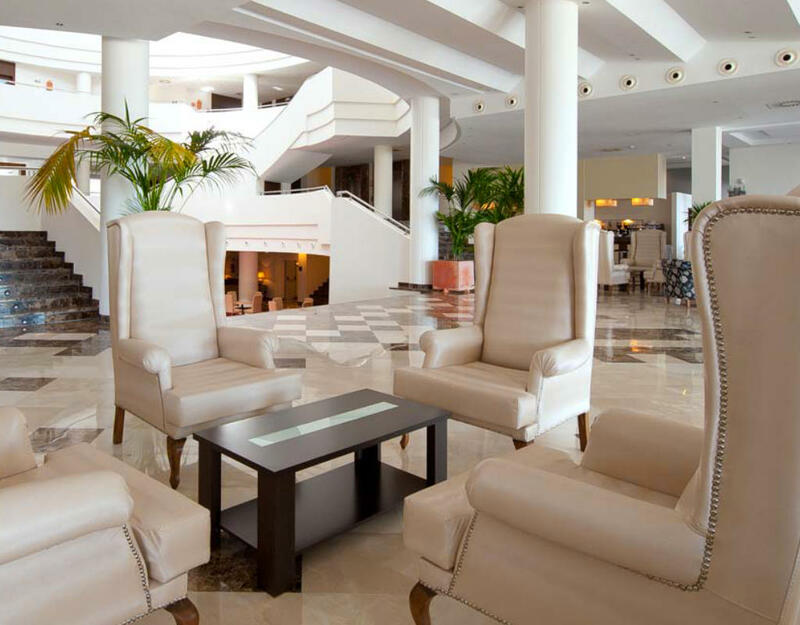 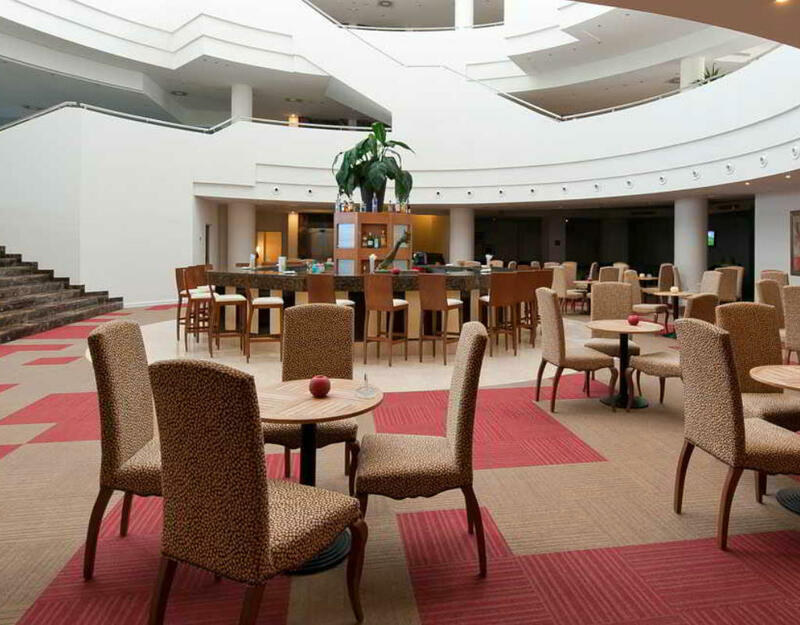 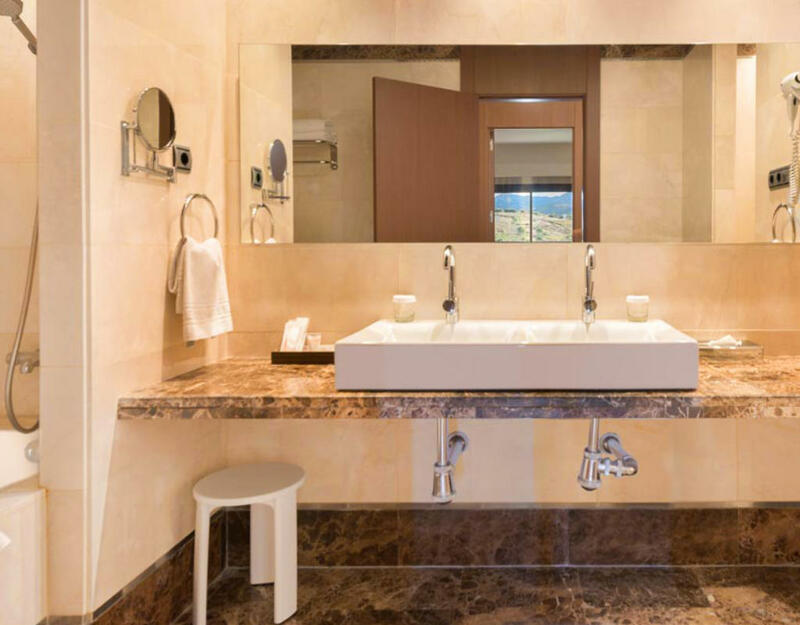 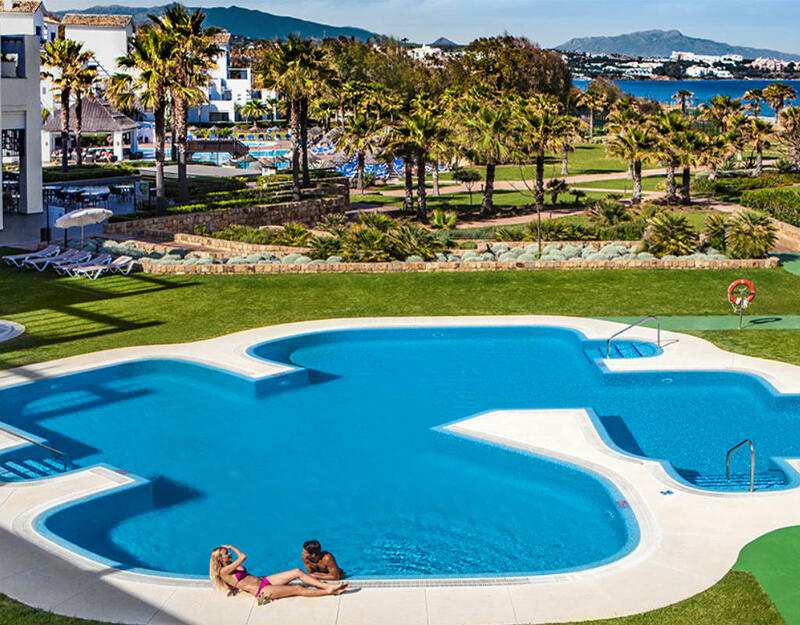 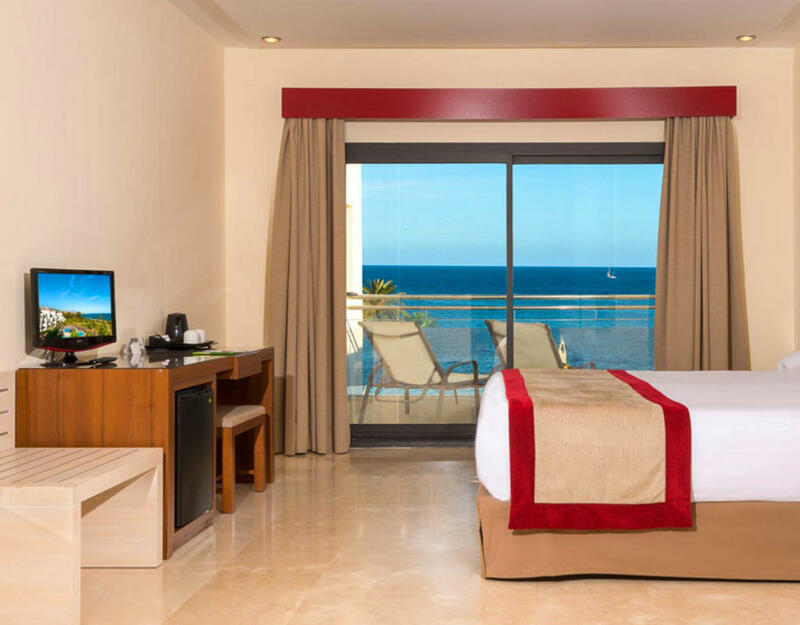 The hotel is located between Puerto Banús and Gibraltar, and about one hour drive from Malaga International Airport. 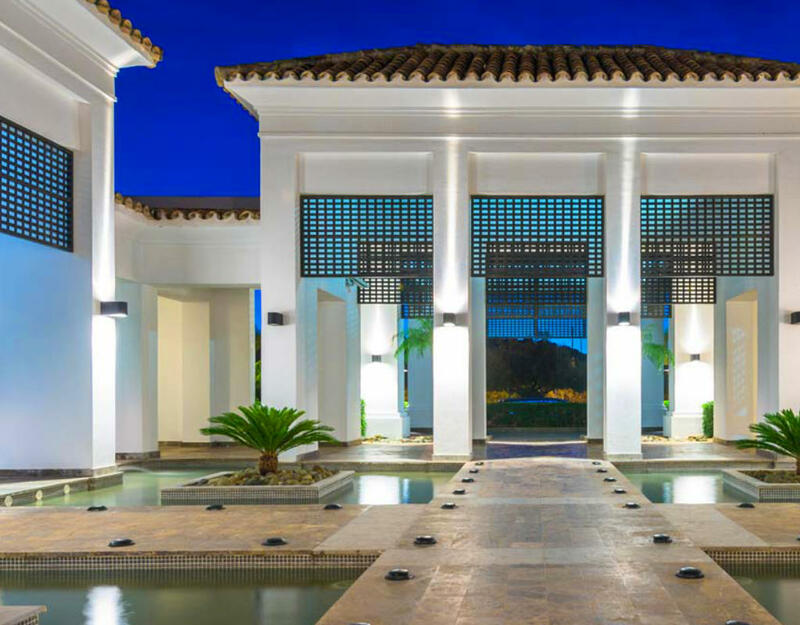 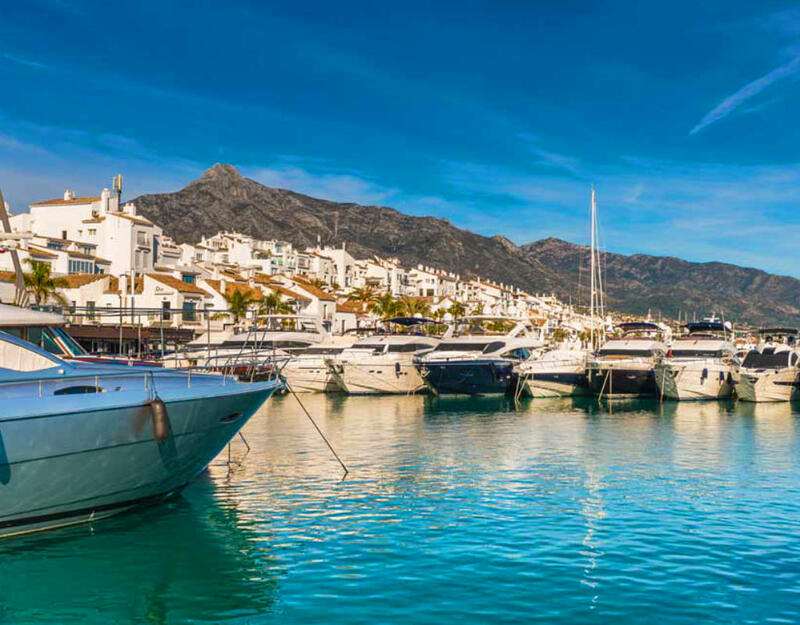 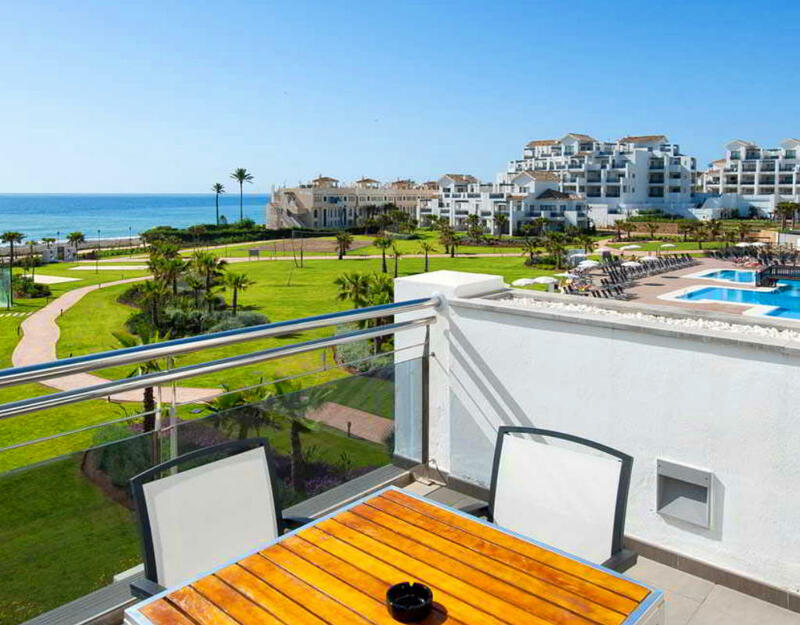 Luxurious Marbella and Sotogrande are both a short drive away. 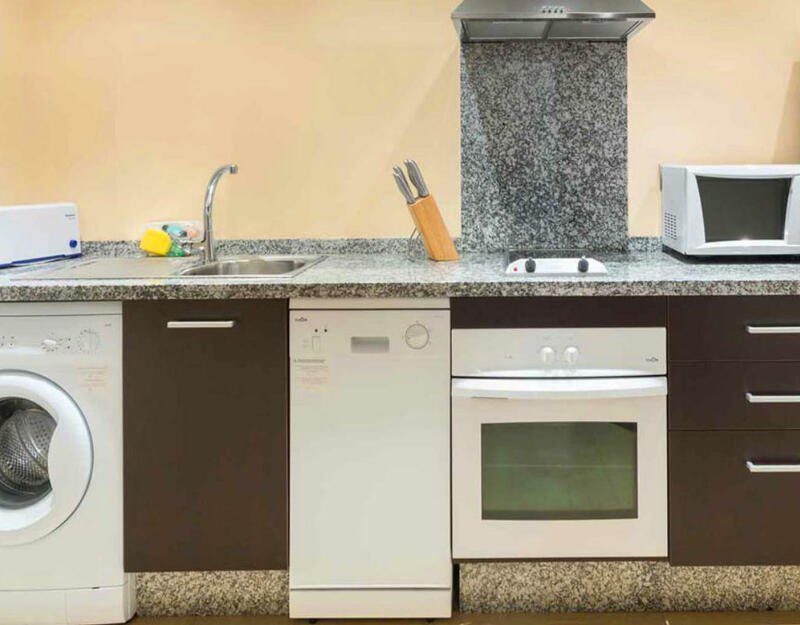 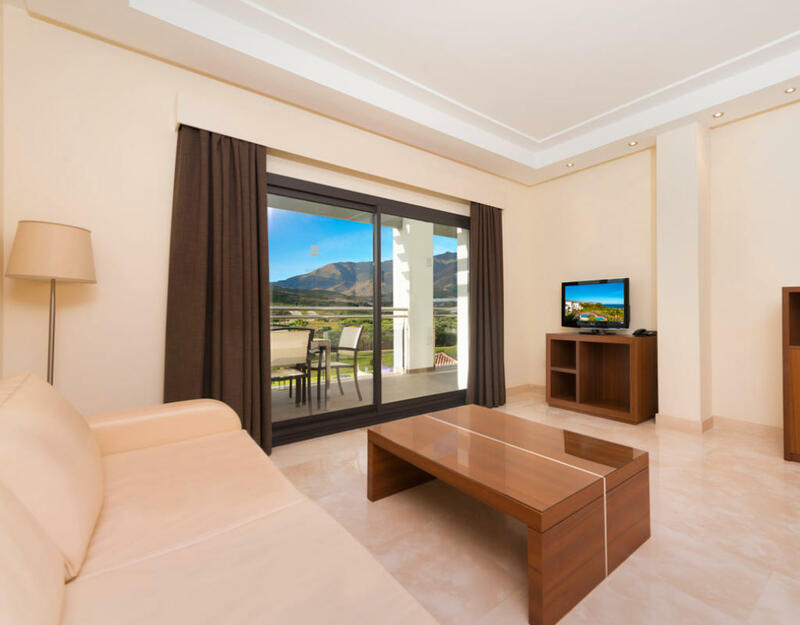 The rooms and apartments (with sea or mountain view) have free Wifi, are spacious and with modern design. 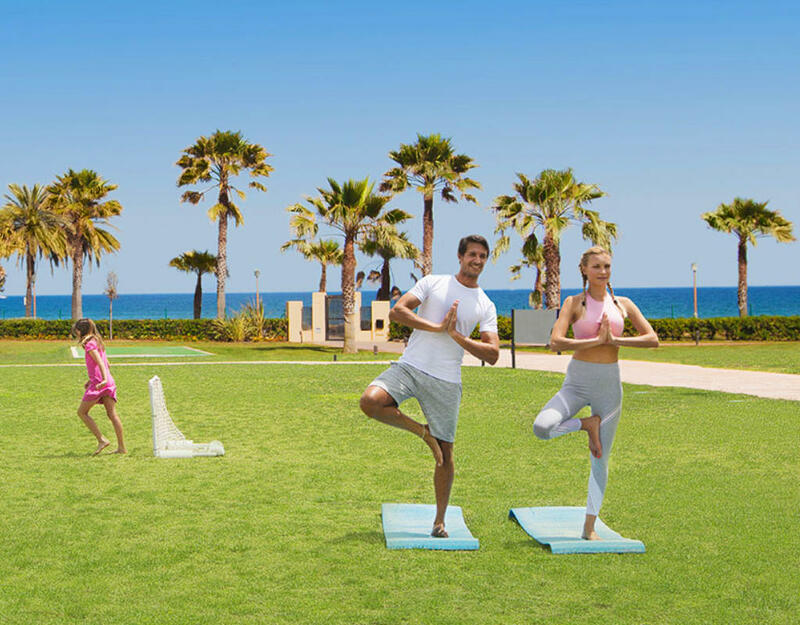 Our golf playing guests will have several golf courses within a few km of the hotel, and many more within easy reach. 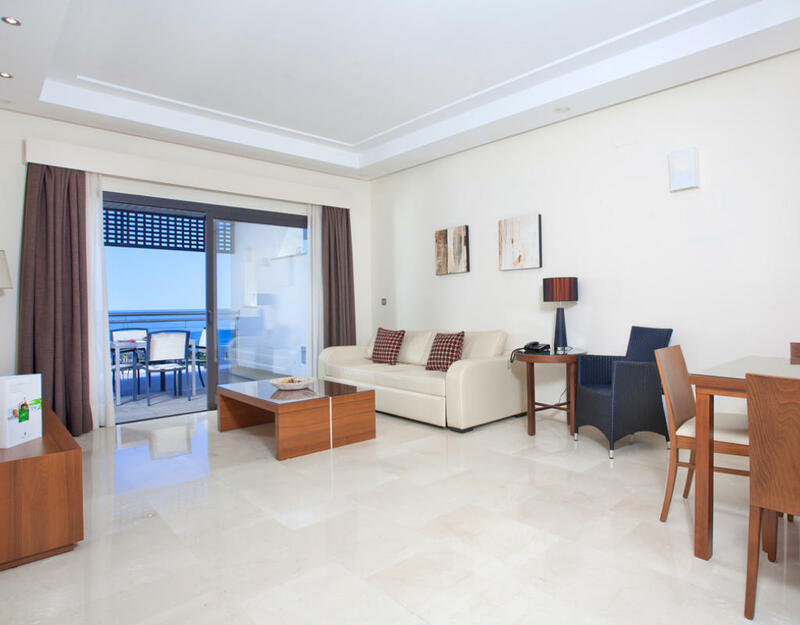 Supplements for double room for single use, sea view, 1 or 2 bedroom apartments and half board. 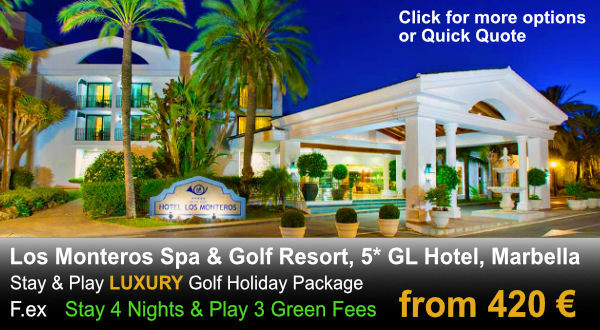 Golf packages available September & October 2018 and April, May, June, September & October 2019.